On this tour you can appreciate the main cultural, residential, commercial, and economical infrastructure of the city. There will be a panoramic journey of the most important streets and avenues of the city, like the “Centro Cívico,” and its surroundings. Later, there is going to be a visit to the “Plaza Mayor." Then you will be taken to a restaurant of your choice to have lunch. In the afternoon you will visit the Museum of Archaeology and Ethnology. Later, the tour will end at the Arts and Crafts Market (Mercado de Artesnías). The Americas and Reforma Avenues are one of the most important streets and avenues of the city. There, you will start a panoramic tour of Guatemala City after being picked up from your hotel. You will learn about the history of Guatemala and the Latin American culture. The main attractions of this panoramic tour are: The Square of the Constitution, Centenary Park, Metropolitan Cathedral, National Culture Palace, Civic Center (Crédito Hipotecario Nacional, Bank of Guatemala, Supreme Court of Justice, Department of the Treasury and Town hall) and the Relief Map. 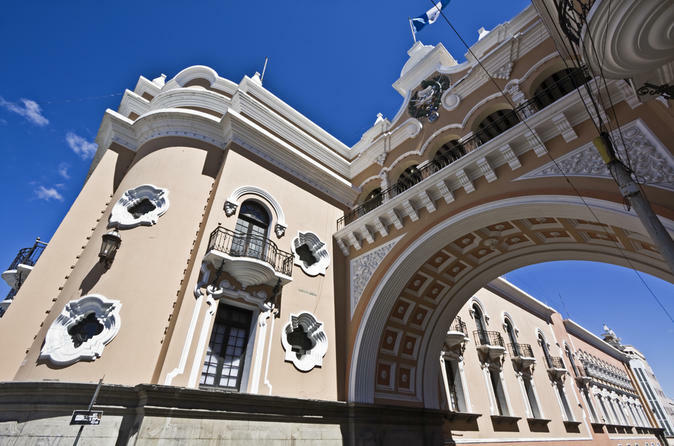 These are the most important buildings in Guatemala and they represent the cultural, commercial and financial importance of the city.